A Year of Being Here: Rita Dove: "Flirtation"
like a tulip on a wedgwood plate. "Flirtation" by Rita Dove, from Museum. © Carnegie Mellon University Press, 1983. 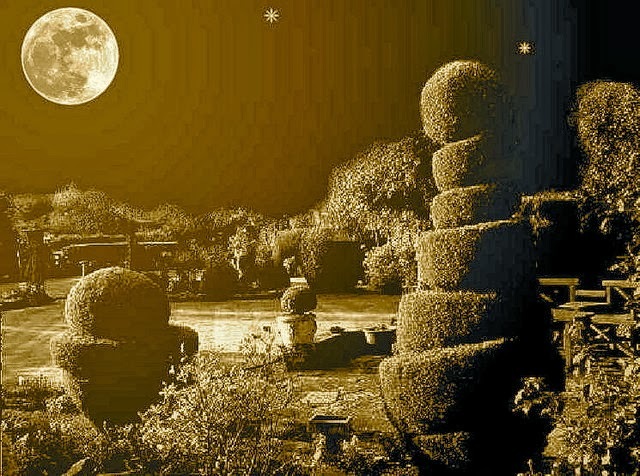 Image credit: "Moonlight Topiary," by Peter Bond (originally color).